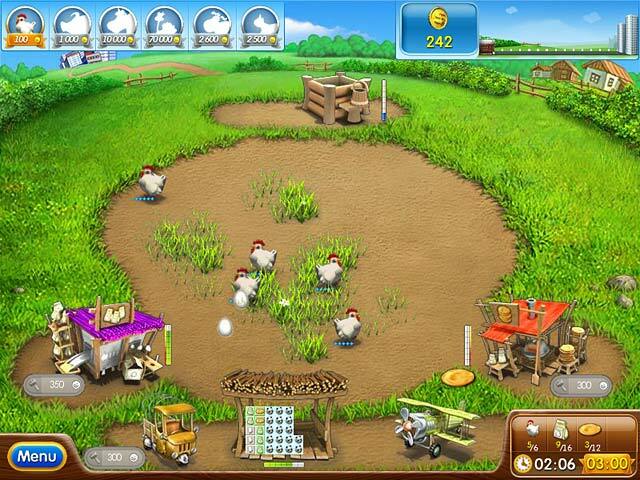 Old McDonald gets a run for his money in this fantastic game. 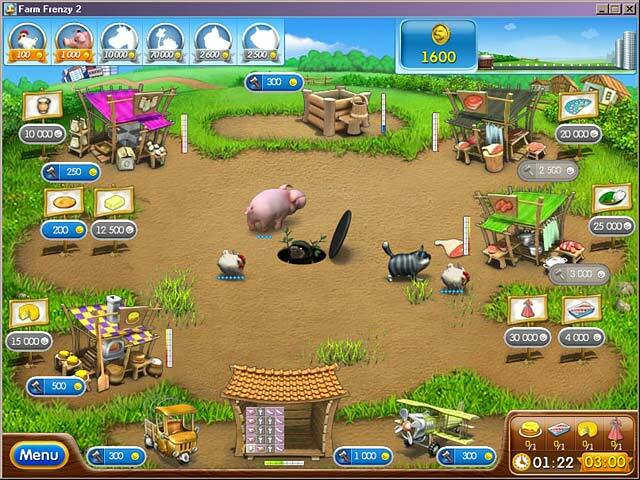 Feed the chickens, pigs, and other animals. 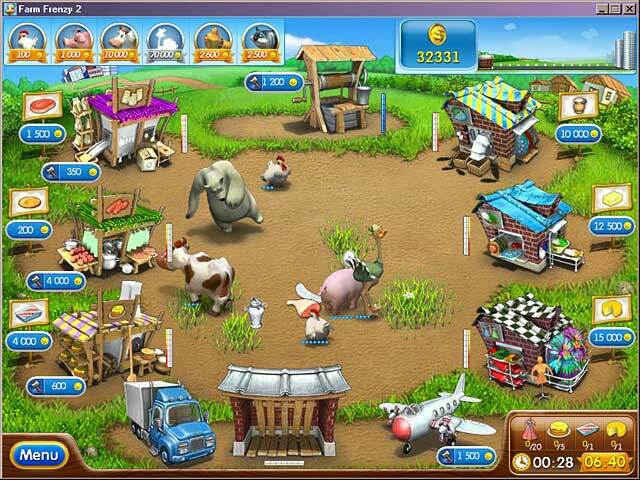 Then stock up the warehouse and take your goods to market. 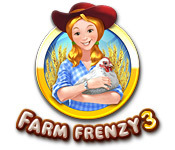 This will allow you to upgrade your farm. 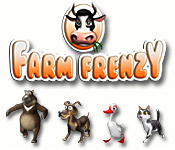 There are 19 awards to win and 17 secret gags in this fun version of Farm Frenzy.